Online ordering menu for Super Burritos #2. 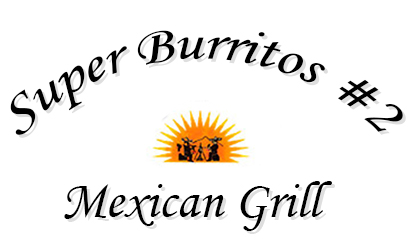 Welcome to Super Burritos #2 in Everett, Massachusetts where we serve authentic Mexican cuisine! Our menu features Taco Salad, Fajitas, Carne Asada Burrito, Pescado Quesadilla, and more! We're located near Gateway Center at the corner of Corey Street and School Street. Order online for carryout or delivery!